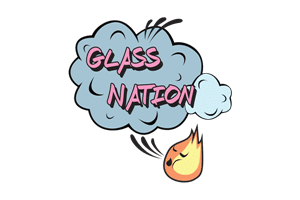 Glass Nation has the best inline perc bongs online by a long shot. Firstly, the inline perc is one of the first percolator styles to hit the market. What makes the inline perc bong so great is that it is very effective in cooling smoke down. Furthermore, you won’t have to worry about having a hot hit again. Additionally, inline percs look great on both inline dab rigs as well as bongs. Lastly, these inline percolators are perfect for cooling down even the hottest smoke. Check out our wide selection. Don’t settle for anything but the best, because its that you deserve. Impress your friends and family with your new high end functional glass art collection. You should never sacrifice style or functionality. Who ever said that functionality couldn’t look cool too? Furthermore, these inline percolators have the perfect combination of functionality as well as style.